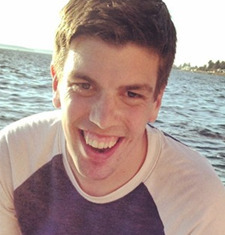 Elliot Howard, CTRS, is a Pacific Northwest native, born and raised on San Juan Island. He started with Outdoors for All as a summer intern in 2013 and returned in November of 2014 after finishing his studies at Western Washington University graduating with a B.A. in Recreation and Leisure with an emphasis in Therapeutic Recreation and a minor in Psychology. Elliot enjoys the outdoors, growing up exploring the mountain ranges of Western Washington with his family and spending many of his summers working as a kayak tour guide/naturalist in the San Juans. He is a firm believer in the intrinsic benefits that outdoor recreation have to offer and is passionate about making outdoor recreation opportunities available to everyone. Elliot is also an avid Seattle sports fan and in his free time can be found exploring the outdoors or trying to catch a Mariners game.